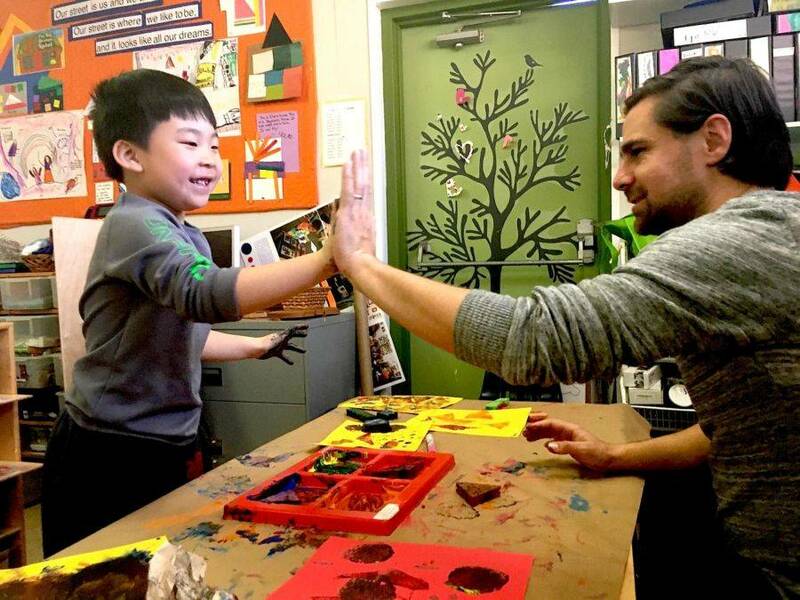 Graham Carson, a teacher at Denver Cooperative Preschool, finger paints with a student. One, a software salesman, helped his wife with a nannying job then decided to go back to school for an early childhood degree. Another discovered his passion for young children after visiting a friend’s Montessori school in Beijing. A third dreamed of being an actor, but switched gears after a volunteer stint at a campus child care center during college. The stories are part of a new digital storytelling project focused on a tiny and often overlooked segment of the nation’s early childhood workforce: men. The idea is to provide inspiration in a field known for its low pay and high turnover — and create a support system of sorts to combat the isolation that can come from being the only man on the job. “Depending on your personality, it can be kind of daunting, said Soren Gall, the former preschool teacher who spearheaded the project. Men make up just 3 percent of preschool and kindergarten teachers, and 5 percent of child care workers, according to the U.S. Bureau of Labor Statistics. 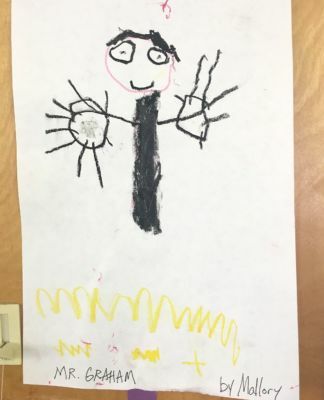 Gall, an infant, toddler and family specialist at Denver’s Early Childhood Council, felt lucky to have worked with two male teachers when he taught preschool years ago at a University of Denver child care center. Still, he knew that most men in early childhood jobs lack male co-workers or even a network of male colleagues in the broader community. He wanted to change that. For awhile, he organized coffee shop gatherings for Denver area men who worked in the field. He also launched a Facebook group called Men in Early Childhood Colorado. Then, with two friends and $2,000 raised through an online fundraising campaign, he embarked on the storytelling project, which features interviews with nearly 50 men who work in early childhood around the country. While there are other advocates who champion the cause of men in early childhood — such as Bryan Nelson who heads a MInneapolis-based information clearinghouse called MenTeach — Gall’s idea was to support men in the field through story-sharing. For Graham Carson, a Denver preschool teacher who was interviewed for the project, it worked. In the 10- to 30-minute audio clips, Gall’s subjects, including 18 from Colorado, describe the sometimes winding paths that brought them to early childhood education and the experiences that kept them there. Several said they liked being able to shape kids during the critical early years when so much brain development is going on. Others said they appreciate the infectious energy and joy that come naturally to young children. In addition to highlighting the fulfillment gleaned from early childhood work, many of Gall’s subjects touched on the benefits of men in the classroom — their different styles of play and communication, their ability to be positive male role models and the real-world gender diversity they bring. Gall said such conversations about men in early childhood are particularly relevant now given the debate in Colorado and the nation about preschool suspensions and expulsions, which disproportionately affect boys of color. He said bringing more men into the field could help reduce the use of such discipline tactics. 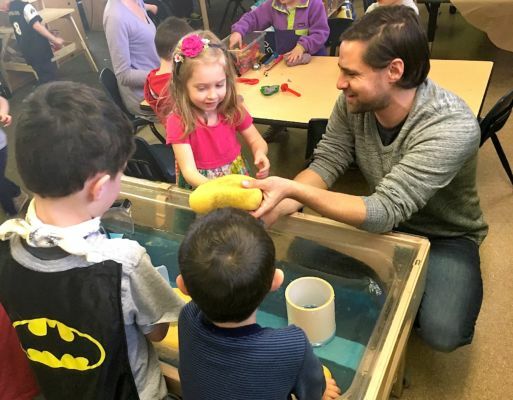 Perhaps a flip side to the benefits of having men in early childhood classrooms is the stigma that sometimes accompanies such a career choice. While some men say it’s gotten better, there’s still a sense that it’s not a masculine job. One of Gall’s interview subjects, Camron Morton, of Colorado, spoke about being careful to create acceptable physical boundaries between himself and his young students. On average, early childhood workers nationwide earn $10.60 an hour, according to a 2016 report put out by the U.S. Department of Education and the U.S. Department of Health and Human Services. Those with at least a bachelor’s degree earn $14.70, about half of what other kinds of workers with bachelor’s degrees earn. “There’s a challenge for anyone going into the field to meaningful support themselves,” said Geof Byerly, an early childhood coach in Colorado. Carson agreed. He believes he’s fairly paid, but said his wages pale in comparison to his wife’s salary as a technical writer. For now, he said, financial sacrifice is part of life in the early childhood world.